In true From Software fashion, the latest patch (1.03) had a few secrets hidden in it. Aside from messing with the cannon and improving load times, (plus a bunch of other much-needed fixes) summoning ranges appear to have been greatly increased. 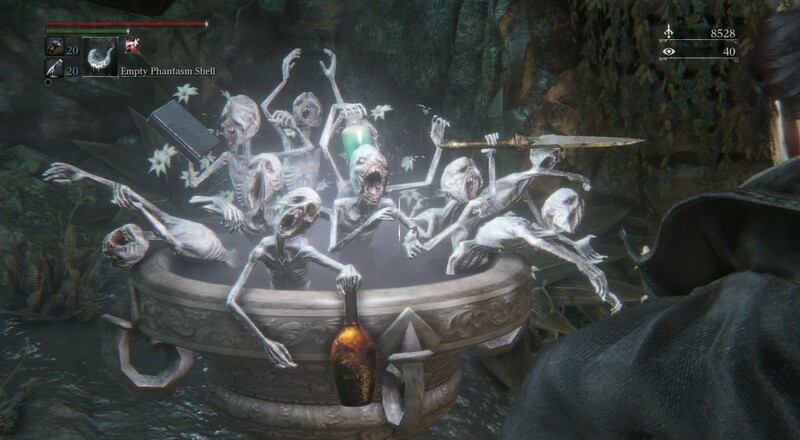 Bloodborne originally followed the summoning (beckoning, co-oping, whatever) rules of previous From Software games (Demon’s Souls, Dark Souls, Dark Souls 2). Players were restricted to summoning other players within a certain range of their own level. While this remains true, the recent patch has greatly increased a host player’s pool of potential partners. In previous From titles the host player’s summoning range equaled a player’s level plus or minus 10, then add or subtract 10 percent of the player’s level to find the maximum or minimum co-operator range. A host player at level 100 can summon other players that range from levels 81 to 121. The latest patch has increased the range. Now the host player’s summoning range seems to equal the player’s level plus or minus 20, then add or subtract 20 percent of the player’s level to find the minimum and maximum co-operator range. Bloodborne post-patch summon range example: A host player at level 100 can summon other players that range from 60-140. Yeah, apparently they messed with the rounding. They’re From Software. They can do what they want. We tested it out last night and the numbers seem to work. My level 127 character would have bottomed out at level 106 players but I managed to summon my buddy’s level 83 hunter. I’m about to take him on a depth five adventure. Once he hit level 90 he could host a game and summon my level 127. The math worked. Good times. Anyway, the normal rules for summoning still apply, but now we have a much larger pool of players to pull from. Check out our Bloodborne Co-Op FAQ if you have any more questions. If you hate math as much as you should, you can plug your character’s level into the Bloodborne Multi-Player Level Range Calculator. You can find out your PvP ranges, too, if you’re into that sort of thing. The creators admit that it hasn’t been thoroughly tested, and at far ends of the spectrum the math may get a little fuzzy. You can find out more information about the calculator and how they’re making it better in this post from the Bloodborne subreddit. Bloodborne launched in March, exclusively for the PlayStation 4. It supports three player online co-op. It’s probably better than whatever game you’re playing right now. Page created in 0.4383 seconds.